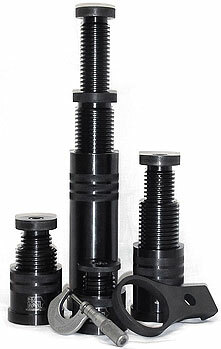 These heavy-duty long-travel work supports are not your ordinary jack screw or fixture jack. They are the strongest and most versatile adjustable support available – capable of taking tons of pressure off your setup operators. Trial tested by various reputable heavy equipment manufactures. This heavy-duty turntable can make even simple tasks easier and more efficient. Many user-friendly applications exist daily throughout most shops or manufacturing operations. Make the Spinner available and your people will put them to use. 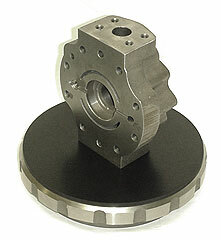 We use them in our shop by nearly every CNC machine. They’re great for deburring or inspection when you need to spin the part. They make the job easier with less effort and less wrist-action by our operators. Watch the Spinner in action!